Codementor Support - How can I tip a mentor? 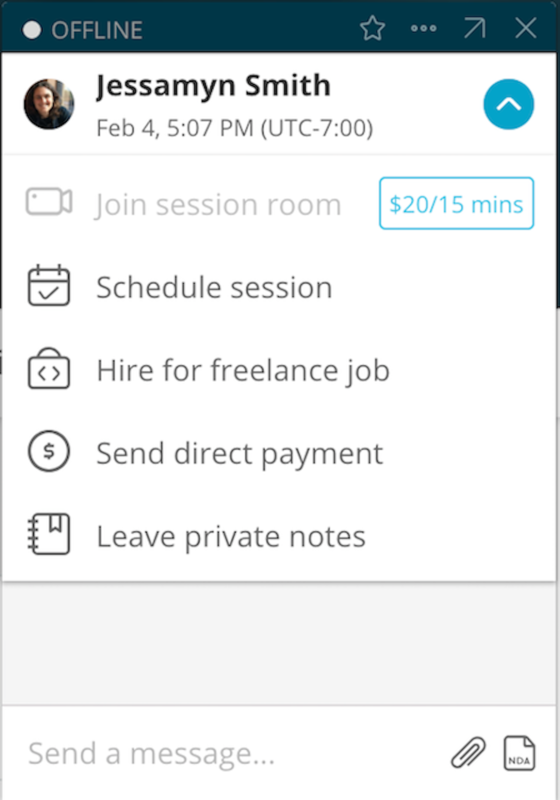 All Categories ​>​ I&apos;m a User ​>​ Billing ​>​ Billing for Sessions and Freelance Jobs ​>​ How can I tip a mentor? How can I tip a mentor? 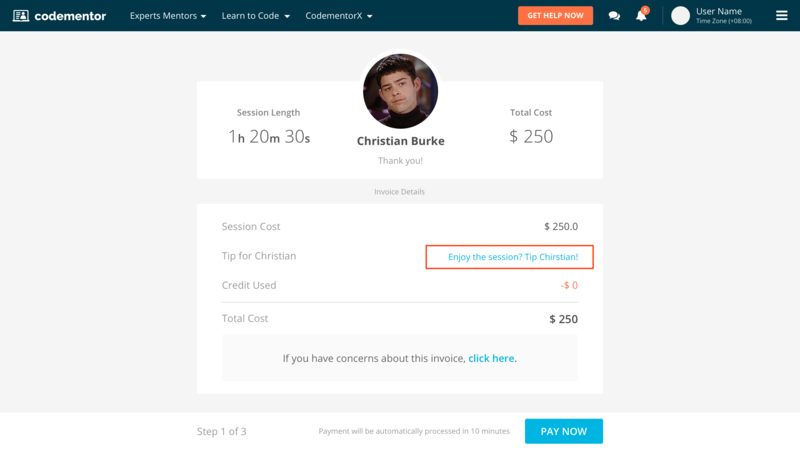 Users can tip your mentor on the invoice page after the session is finished. 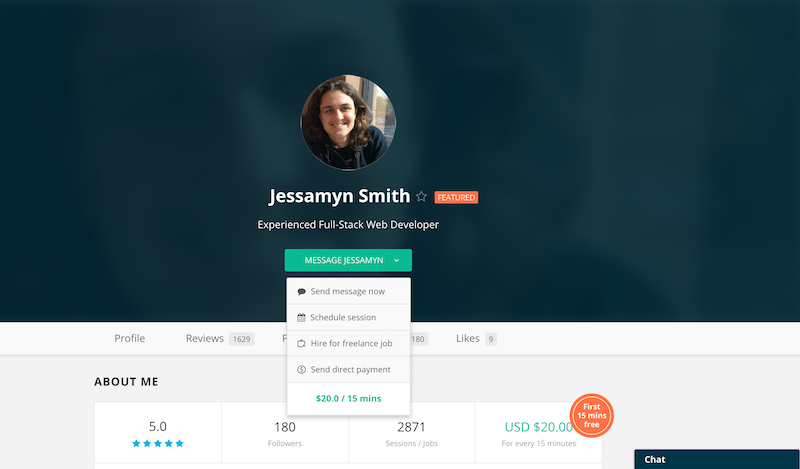 Alternatively, users can send direct payment on a mentor's profile or through the chat window. How do I favorite a mentor?